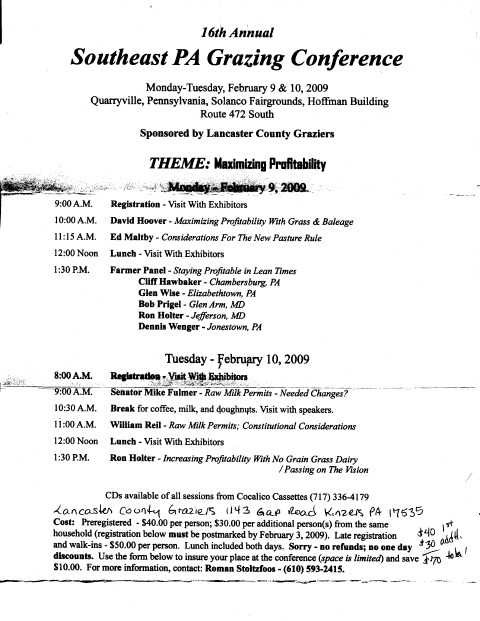 The 16th Annual Lancaster County Graziers Conference will be February 9th & 10th in Quarryville, PA at the Solanco Fairgrounds on Route 472 South (about 40 miles from Kimberton). It’s an excellent opportunity to learn from well-seasoned farmers about grazing and growing dairy quality forages in lean times. 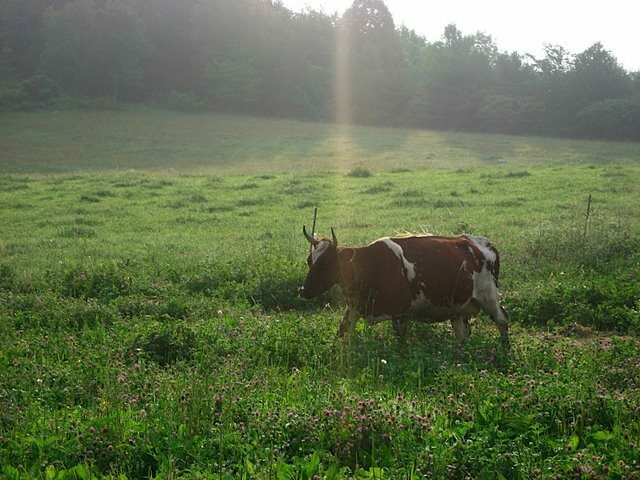 This year there’ll be more discussion about proposed changes to the organic standards and raw milk issues. Senator Mike Fulmer will talk about changes he’d like to see in legislation pertaining to raw milk permits. The two day conference includes lunch and snacks – featuring many locally-grown products – for a very reasonable early registration cost of $40/person ($30 for each additional person from same household). See copy of the mailing below.